Mouser has announced the latest issue of the Methods technology and solutions e-zine. 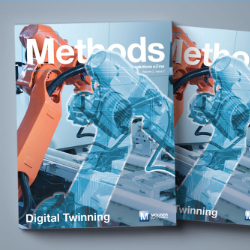 The second issue of volume two comprises digital twinning, which has emerged as a new approach to design and maintenance in Industry 4.0. In this issue, Mouser’s specialists review the technology landscape and types of twinning; describe the role of sensors, edge-nodes, AI, and communications; reveal digital twinning’s many potential benefits; and current data security implications and issues.